Who does not know it? Life as a roller coaster ride in his capricious alternation of acceleration and stopping, thrills and boredom, between tragedy and a love story. And so desperately desires the openness of a child to take with astonished eyes and wind in their hair, the next blatant curve just with a laugh or screech. 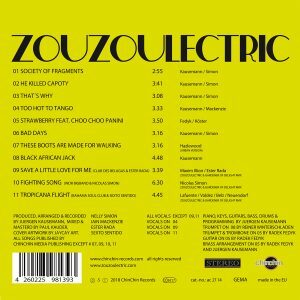 Zouzoulectric, the long-time internationally celebrated party heroes of Nujazz & Neo Swing, have more than preserved this inner attitude as musicians. 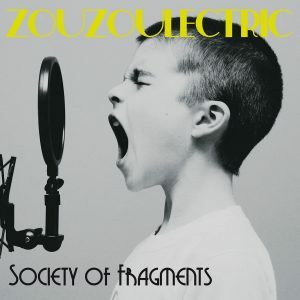 Their new album Society of Fragments celebrates the magic of the moment with Verve and with all her heart.